CALLAS BRIGHT PLUS Liquid Foundation is a NEW type of liquid foundation designed to protect, illuminate, and create the appearance for natural flawless skin by improving the look of the complexion. The foundation offers a perfect combination of non-oily and moist application. Its effectiveness is approved by the Korean FDA. Defy! Skin firming treatment requires daily care. Algisium C is silica algae extract that heals and stimulates collagen in the skin. How to use Adjust amount as desired. Apply a small amount to the face, and blend with either finger or a sponge, using patting motions for maximum coverage. Warning: For external use only. Discontinue use if irritation occurs and consult a doctor. Keep out of reach of children. 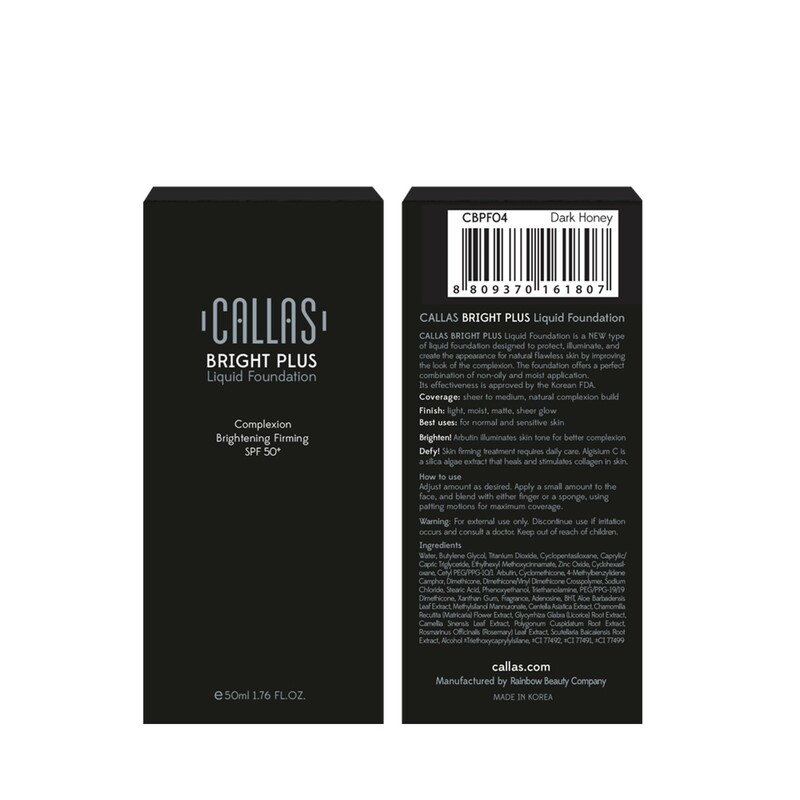 CALLAS Bright Plus Liquid Foundation SPF 50 (CBPF 05 Tan) is a NEW type of liquid foundation de..